Offers architectural elegance with graceful lines created by taller center poles. While the dramatic peaks and sloping valleys are pleasing to the eye, let’s not forget the impeccable strength, durability, and design magnificence. 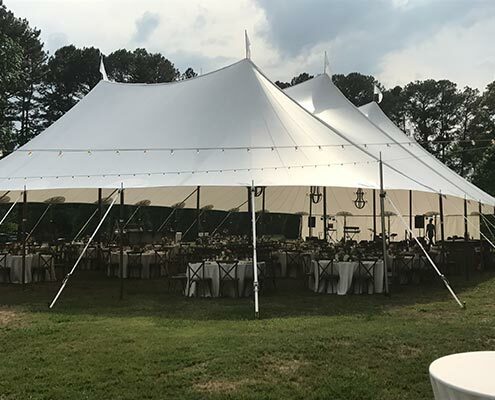 Big enough to accommodate large galas, receptions, and grand openings, the Century Pole Tent is designed to give customers the layout they envision for their very special events. 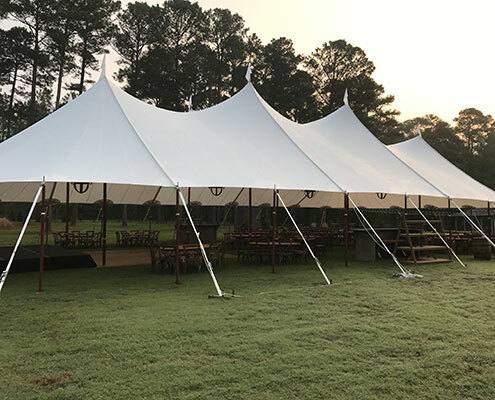 Sizes range from 30, 40, or 60 foot widths and can be expanded to virtually any length. Side walls and white pole covers are available. 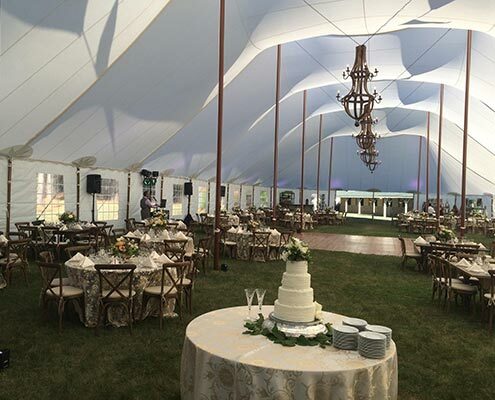 With sculpted peaks and eaves in translucent sailcloth, daytime gatherings are enhanced with warm natural light and evening events glow brightly. 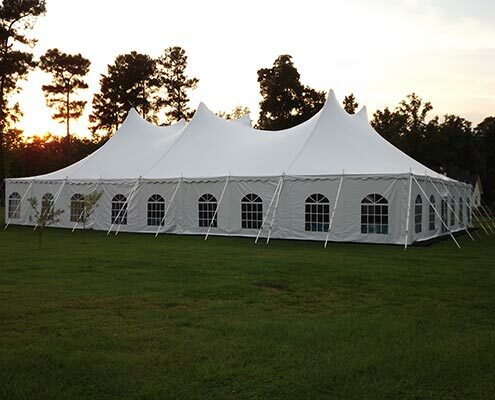 But don’t let the elegant Sailcloth Tent fool you; the fabric is 100% waterproof and built strong. 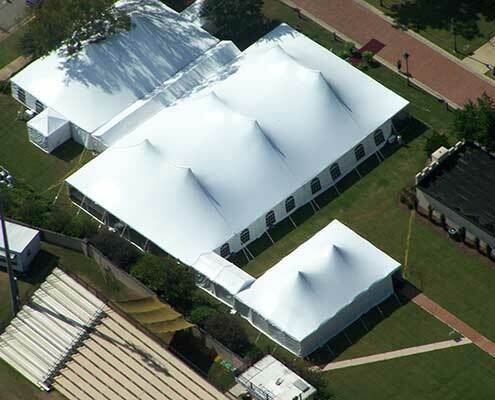 59′ Wide Tents: These are the largest tents we offer. 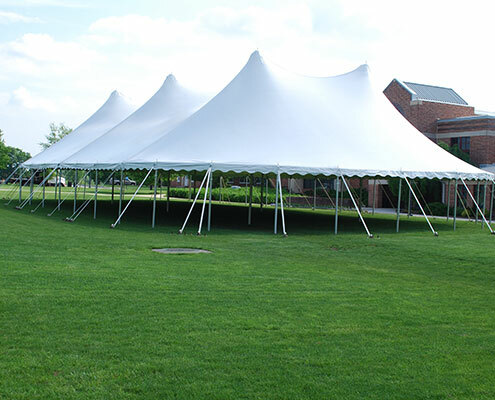 These give the potential for hosting very large events for several hundred guests. 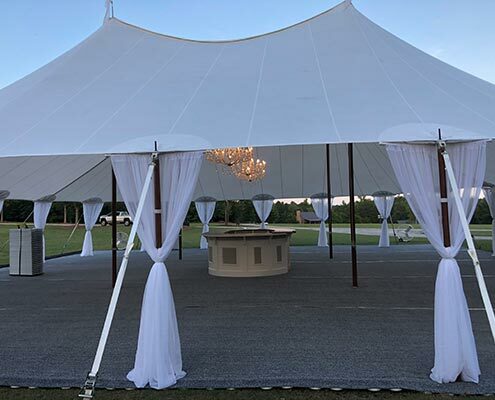 The twin pole design of this size allows for a clear space through the center of the tent, which works well for dance floors, and other seating arrangements. 59′ x 59′, 59′ x 79’ and 59′ x 99’. 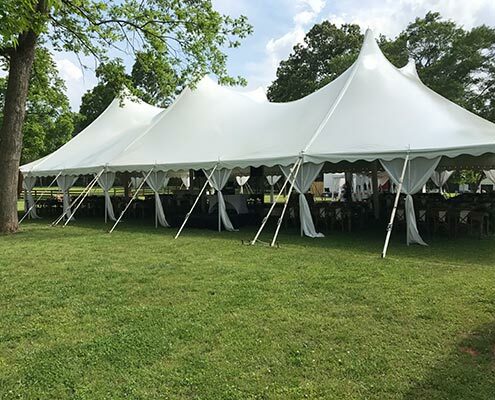 Our 59’ x 39’ smaller size tent is used in conjunction with larger tents to cover bar areas, kitchen areas, lounge areas, and head tables, but they are also used for smaller events or more intimate gatherings where a larger sized tent is not required.